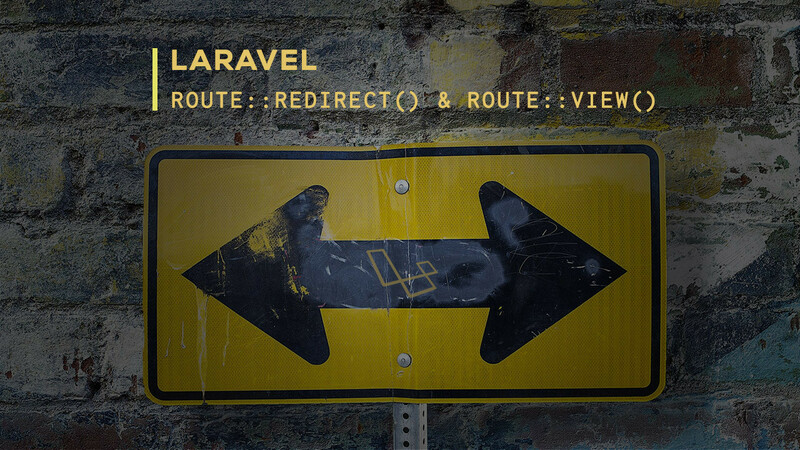 In Laravel 5.5, there are 2 new route methods which are Route::redirect() and Route::view. Using these new methods will make your code cleaner and it will allow you to leverage Route Caching, whereas you would not be able to leverage Route Caching if you used closures to perform the functionality above. So, you can see it looks much cleaner to use the new redirect and view methods.